There is one sentence in this book that captures how I felt about this book: ‘Her heart smiled’. And yours will too because this story has so much to love in it. 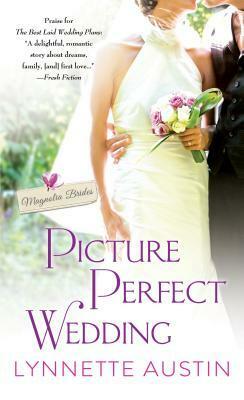 The angst, drama and passion all combine to make PICTURE PERFECT WEDDING a heartwarming and really enjoyable second chance romance, which would not be complete without a sweet, adorable toddler and well-meaning but interfering townspeople. One mistake was all it took to end the future sweethearts Beck Elliot and Tansy Calhoun had planned for themselves. After five years, Tansy is back home, with almost nothing to her name, except a determination to rebuild her life in her hometown and create a safety net for herself and her daughter in a place where she had the same growing up. With the size of the town and the active meddling of everyone, avoiding her ex will be next to impossible. And does she really want to? Beck is still understandably angry at Tansy for crushing the dreams they had, but it’s obvious that he never really moved on and maybe her return is an opportunity to see if they can salvage what they had. Can he let go of the anger and explore the possibility of a future between them? Beck is a really good man, the kind of man any woman would be lucky to share her life with. He’s kind, passionate, caring and giving. Even though Tansy hurt him a lot, he never stopped loving her and couldn’t even sustain a good mad at her, especially if that meant loosing her a second time. Tansy’s strength is admirable as is her perseverance. I love how she put her daughter’s well-being over everything else and brought her back home, even when she knew that coming back would be difficult. In addition, the sisterhood Tansy finds with the women of Misty Bottom is a thing of beauty and I have to say that the warm welcome and support from the town were part of what made this book so enjoyable. PICTURE PERFECT WEDDING showcases the best of small towns: the friendships and the community, and Tansy and Beck’s romance highlights the staying power of true love. All in all, a really great and highly recommended read from Ms Austin and I can’t wait to see where she takes us next in this series.